When I became unable to work due to depression (which actually turned out to be a symptom of Chronic Fatigue Syndrome) I read as much as I could on the subject(s) and tried many different therapies to help me out of it. The final thing I tried was Cognitive Hypnotherapy and what a breath of fresh air it was! Instead of raking over what had happened to me in the past (again) I was asked where I wanted to be in the future and was nurturingly guided towards making decisions that would help me achieve my goal. Sounds obvious to me now, but at the time it was a revelation. 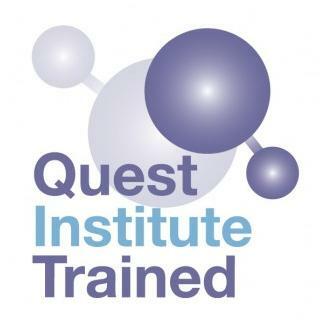 As I made progress towards good health I realised that this was something that I wanted to practice myself and so I enrolled on a course with The Quest Institute and ultimately became a qualified Cognitive Hypnotherapist. Through studying Cognitive Hypnotherapy I understand what holds individuals back from being all that they want to be and how to help them to remove those blocks and limiting beliefs. I know that our mental health can affect our physical body and how to help change incongruences in our behaviour; to stop doing those things we do that we really don’t want to do, behaviours that may have worked for us in the past but are no longer appropriate in our lives. I have a Diploma in Cognitive Hypnotherapy, a Hypnotherapy Practitioners Diploma (the first nationally accredited hypnotherapy qualification awarded by the NCFE) and I am an NLP Practitioner. I am a Member of the National Council for Hypnotherapy who promote the highest professional standards through their members and I readily adhere to their code of ethics. In December 2010, hypnotherapy was recognised by the Complementary & Natural Heath Council, so if you are looking for a hypnotherapist, whether it’s me or someone else, please check the register for a qualified practitioner. I continue to attend courses, seminars and workshops and read extensively to ensure that my knowledge is comprehensive and up to date. I take my continuing personal development seriously and I would be happy to help you with yours.